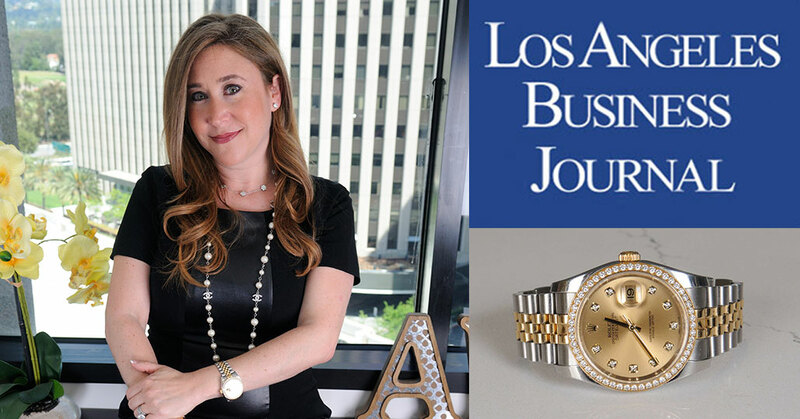 No need to tell Alyssa Weinberger, senior managing director at Lido Advisors in Century City, about the value of a dollar. She’s a third generation CPA, in the same field as her grandfather, father, uncle and brother. “I would say being good with money is embedded in my DNA,” Weinberger said. She also shares an alma mater with her father and uncle – all graduates of the University of Arizona. Weinberger’s work might be described as a family affair. She leads Lido Advisors’ team efforts on family office. Lido assists families as they establish stand-alone or virtual family offices, identifying strategies to help maintain and build wealth over generations. Family is the reason that Weinberger and her husband, Steven, who also is in wealth management, live in nearby Westwood. The short commute allows Weinberger to walk their three young sons to school before work. The kids are aware that getting time with busy parents represents a trade-off. They know if Weinberger attends a weekday school or sports event she’ll be less available for weekend activities. No surprise that Weinberger regards her clothing and accessories as investments instead of ways to follow short-lived fashion trends. She tends to favor timeless looks, such as distinctive accessories paired with basic black, navy or red. “I like to save up and buy one amazing item, specifically jewelry,” she said. Indeed, Weinberger’s pearl and crystal Chanel necklace, as well as a sparkly diamond bezel on her Rolex watch, suggest a taste for fine accessories. A word about the watch: It’s a men’s Rolex for a reason.